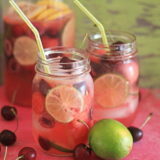 Bing cherries, limes, watermelon, white wine, and rum join together to make a refreshing, uber-drinkable summer sangria. I’ve been so pleasantly blown away by the popularity of my White Strawberry-Lemon Sangria – both online and at home – that I thought I’d try another fruity-citrusy white sangria combo. I like this combo as much – possibly even more – than the first. 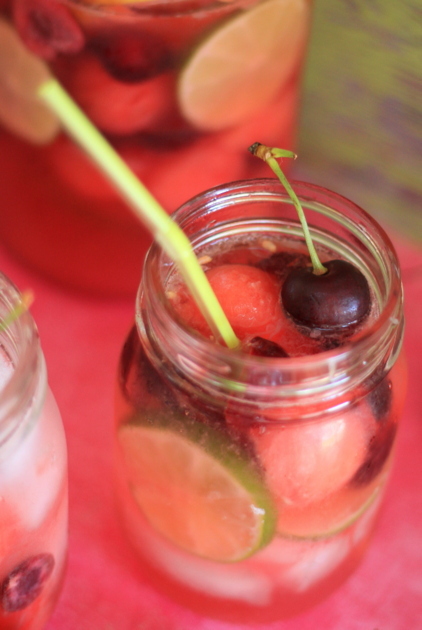 Fresh bing cherries give this light, uber-drinkable sangria a lovely pink hue. And you can really taste that sweet cherry goodness. Loads of lime slices enhance the cherry flavor … and then there’s the super-spiked rounds of watermelon. Yeah, this is pretty much July in a glass. Like its strawberry-lemon cousin, this too boasts a nice, not-too-sweet flavor that makes it deliciously drinkable – possibly even dangerously so. You’ve been warned! 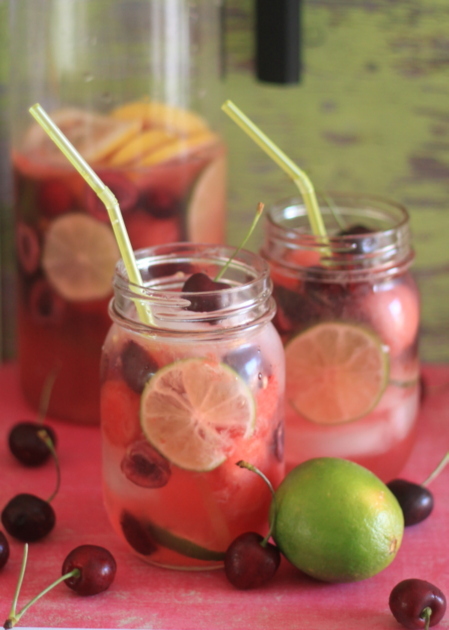 Add watermelon to a large pitcher, then the cherries, then the limes, then the lemons. Remove from refrigerator and add the lemon lime soda. 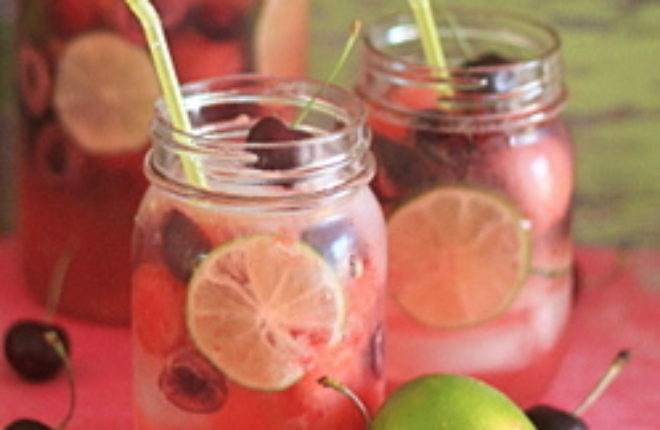 Add a few pieces of the fruit to your glass along with ice (if desired), and pour sangria over to serve. Keeps for about 24 hours in the refrigerator; just be sure to add the lemon-lime soda right before serving. got extremely good information and I actually discovered specifically what I was searching for. This was fantastic! I made it with extra dry Korbel champagne and it was the best sangria I have had.